June 30 is almost upon us, but it’s not too late to tuck a bit extra into your superannuation fund to help minimise your 2013/14 tax bill and to beef up retirement savings for later. 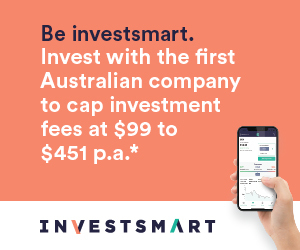 If you work for someone else, Ron Hodge, CEO of investment supermarket, InvestSMART, recommends talking to your employer about sacrificing some of your salary or year-end bonus before 30 June into superannuation. “This is commonly known as salary sacrificing, and this strategy involves agreeing with your employer for some of your pre-tax salary or bonus to be paid directly to your super fund, before income tax is deducted,” says Hodge. Just be aware that the government has imposed concessional caps to restrict how much pre-tax salary a worker can shift into superannuation. For the 2013-14 financial year this cap has been set at $35,000 for those over the age of 60 – its $25,000 for those younger than 601. Remember this cap includes the super guarantee paid by your employer. Other ways to top up super is to make an ‘after-tax’ super contribution (also called ‘non-concessional’ contributions). Once again there are caps on the amount of non-concessional contributions you can make each year before you pay extra tax – although at $150,000 most of us probably won’t need to bother negotiating the cap. It’s also worth noting that the non-concessional contributions cap will increase to $180,000 for the 2014/15 tax year. Another strategy worth considering is making an after-tax contribution on behalf of your spouse to receive a tax offset. To receive the maximum tax offset of $540 you’ll need to make an after-tax contribution of $3,000 into your spouse’s super account, while your spouse’s assessable income (including potential fringe benefits and salary sacrifice contributions) must be less than $10,800 a year – although there’s the possibility of a partial tax offset until your spouse’s assessable income exceeds $13,800. Hodge warns that some superannuation strategies might not suit your financial or taxation situation and that it’s always best to consult with a qualified accountant before making a move.